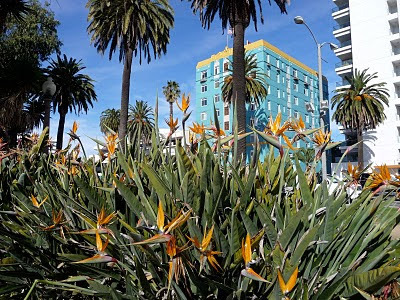 One of the unique features of Los Angeles is the incredible variety of plants and flowers, the vast majority of which have been imported from other places in the world. 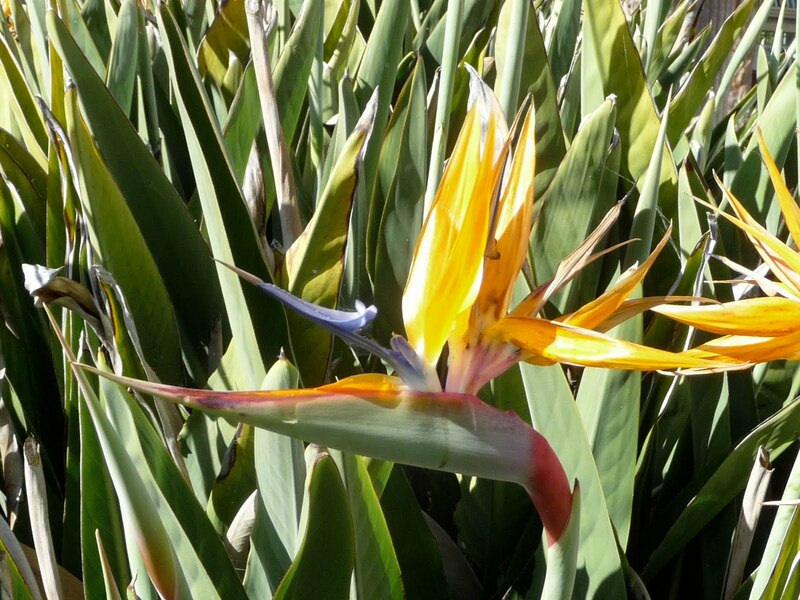 The South African "Bird of Paradise" is a great example of a flowering import that thrives along much of coastal Southern California. 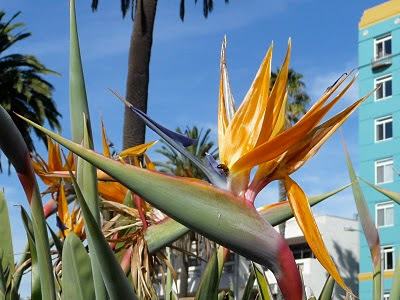 The Bird of Paradise is the official flower of the City of Los Angeles (yes, L.A. has an official flower). 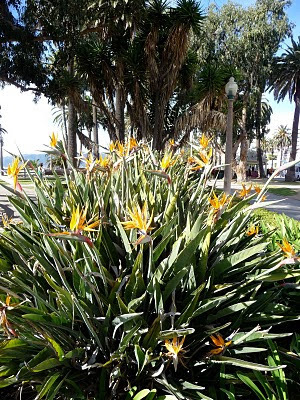 Saturday, January 2nd, 2010 - while much of the country was still enjoying their "white Christmas" - I took some time to walk around Palisades Park, a long, narrow park on the bluffs overlooking the Pacific Ocean. 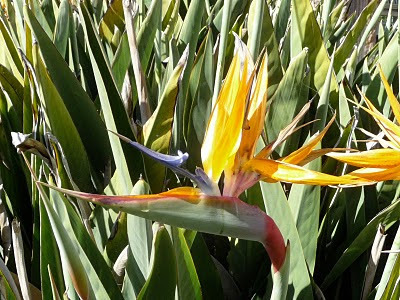 The Latin name for these plants is trelitzia reginae, the common name: Bird of Paradise, or Crane Flower. They bloom year round, including the winter months. Here's a link some more info from the good people at wikipedia. A friend on the East Coast recently challenged a group of us to think about making more of joy based appeal when communicating our faith with others. A common argument against Christianity is summarized in the simple "what about suffering?" In other words, if God exists, why is there suffering? 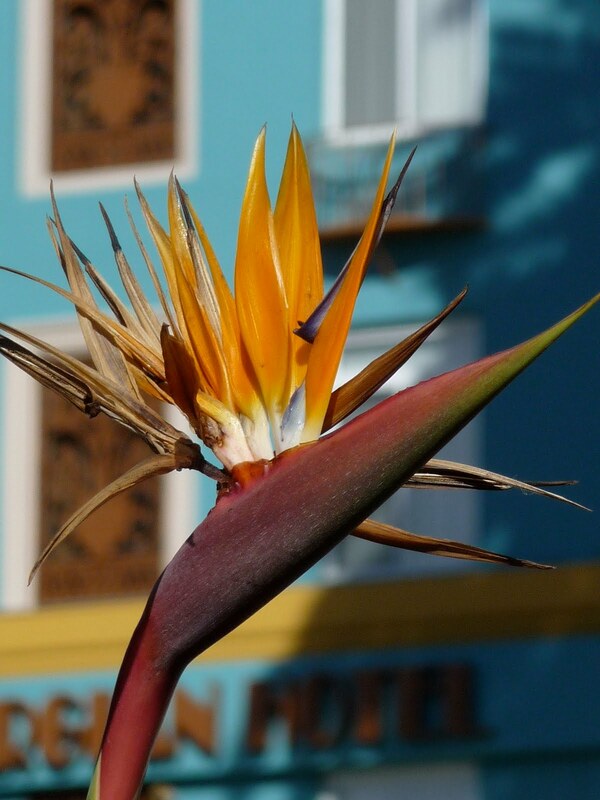 Perhaps a more difficult question - at least philosophically - is "what about beauty?" 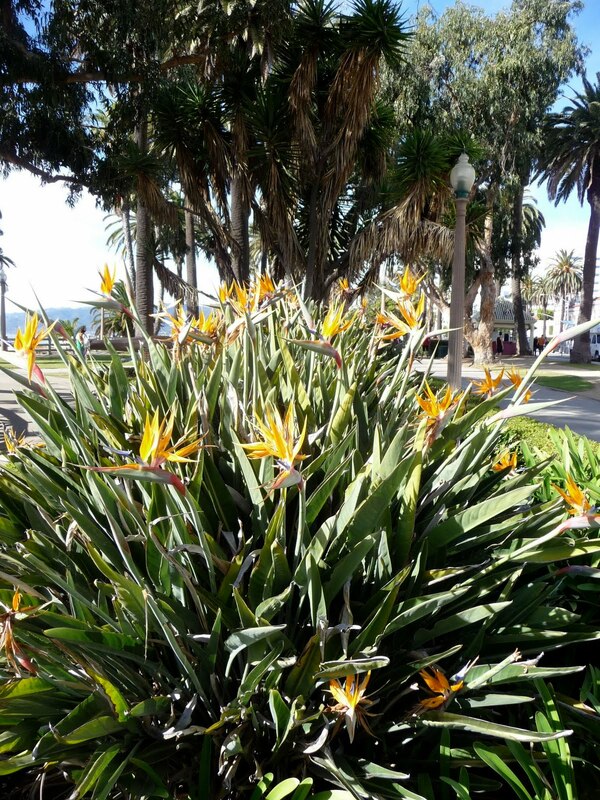 If God doesn't exist, how do we account for the beauty we see around us? St. Paul's appeal was based on joy: from the beauty we see around us, the rain, the crops, the food we have. The Creation itself points to a Creator. Of course, this was and is just a starting point to understanding and embracing the gospel. 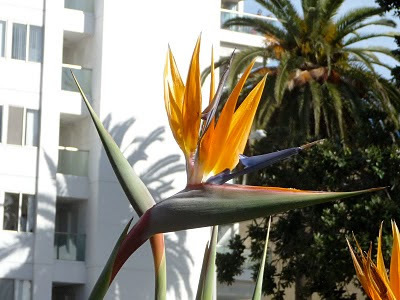 With Easter coming up next month (Sunday April 8) I wonder what it would take for the traditional Easter Lily to be replaced with the Bird of Paradise as the flower of choice for Easter. 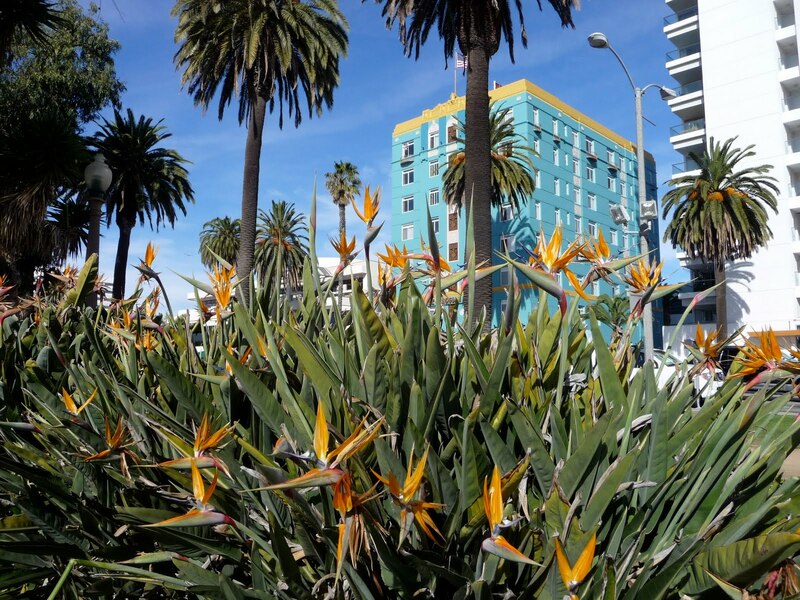 More so than even Christmas, it is - or should be - the ultimate joy filled holiday. 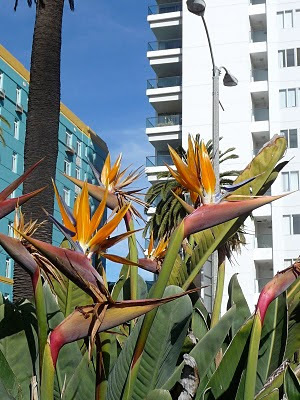 Additional reviews on Palisades Park can be found here.